Discreet, effective and powerful ... isnĂ˘Â€Â™t just what you needed? Plus, with thisvaginal stimulator you can also decide how you feel like using it ... 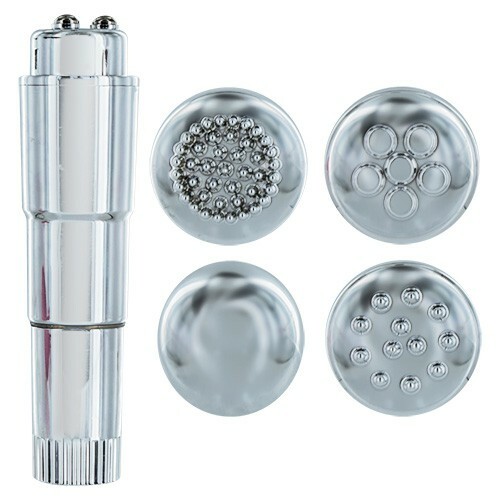 Thanks to its 4interchangeable heads , you can actually choose the way to go wild and crazy and how you feel like reaching an unforgettable climax.